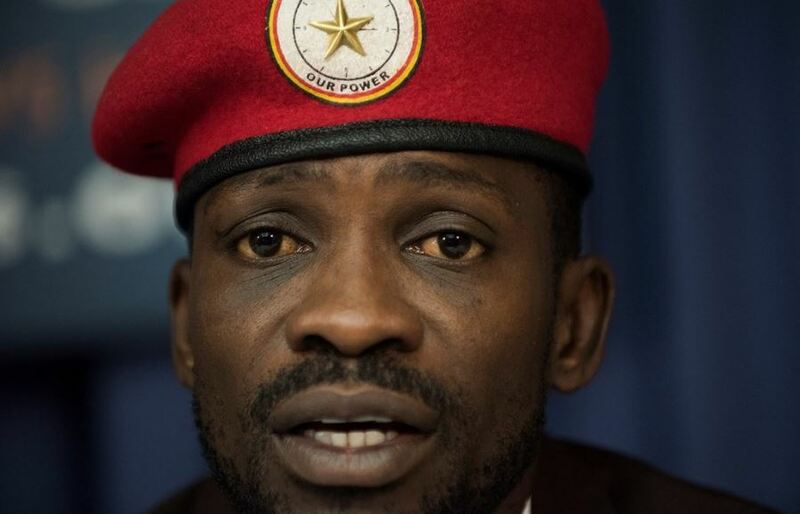 ACCRA, Ghana – Robert Kyagulanyi, aka Bobi Wine, at the weekend, launched the People Power Ghana Chapter, with the Kyadondo East MP saying this is intended to coordinate and mobilise other people in the area interested in liberating the country. Bobi Wine, who was in the West African country for the Afrima Awards, alluded to the country’s political icon Kwame Nkrumah to justify the need to fight for freedom. “Earlier today [November 24], we launched the #PEOPLEPOWER_GHANACHAPTER to coordinate our fellow Ugandans living in West Africa, and indeed other brothers and sisters living in that region who are interested in our liberation. We ultimately agreed that as Kwame Nkuruma said, “Freedom is not something that one people can bestow on another as a gift, they must claim it as their own and no one can keep it from them,” he said in a statement. Bobi Wine, whose People Power pressure group has shaken the dynamics of opposition politics in East Africa, had on Friday met several activists and different political players to whom he narrated the political atmosphere in Uganda in relation to the state of democracy on the entire African continent. “This morning [Friday, November 23], I had a conversation with a group of activists and the #PEOPLEPOWER_GHANACHAPTER about the political atmosphere in Uganda in relation to the state of democracy on the entire African continent. I commend these young people for devoting their energy to finding solutions to problems using all means within their reach. I will be meeting fellow Ugandans living in Ghana and West Africa at the OS AURORA APARTMENTS near Flag Staff House at 11:00am tomorrow. If you live in this community, come and let’s catch a conversation about our country and our continent,” he wrote on his Facebook wall on Friday. During the AFRIMA awards business summit this morning, Bobi Wine said the focus was on the role of music and culture in Africa. “We also looked at the possibility of exploring and leveraging the opportunities in our continent. It was an honour for me to be part of the panel, sharing centre stage with Mama #YvonneChakachaka and other personalities whose goal is to influence the livelihood of Africans using our music and culture. Thank you #Afrimaawardsfor the opportunity,” he added.